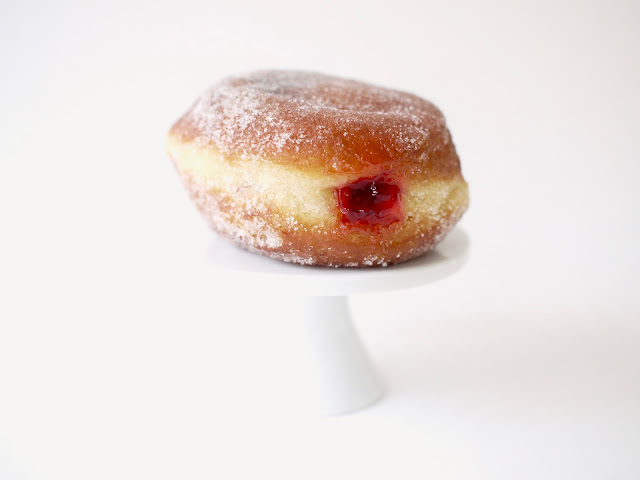 As I have for the last five years, I got my Fat Tuesday doughnut (Paczki) today! After some googling, I discovered that a suburban bakery was one of the few places that sell these Polish pastries in Kansas City (I did have the option of visiting some local grocery chains too). Irina's Gourmet Bakery in Overland Park made hundreds of these doughnuts in preparation for today. I, however, was unaware that I needed to call ahead to order them by last weekend in order to get a proper Paczki. But I was happily greeted with a display case of Plain Paczki when I arrived a little after 1pm today. I chatted with a nice older man in line with me about the flavors available: raspberry, cream and strawberry. But little did I know that the plain paczki for sale (not preordered) were unfilled. 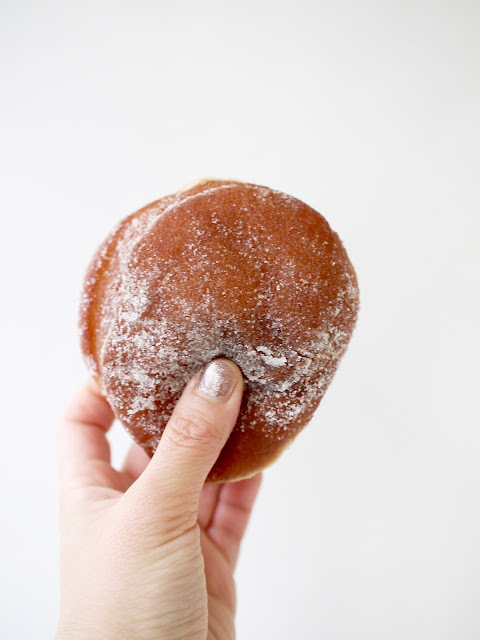 It was apparent I was thoroughly disappointed and my new friend told me he would trade me a filled one for my plain paczki. I gladly took him up on that offer! (He had a box of a dozen and didn't mind losing one of this filled ones). 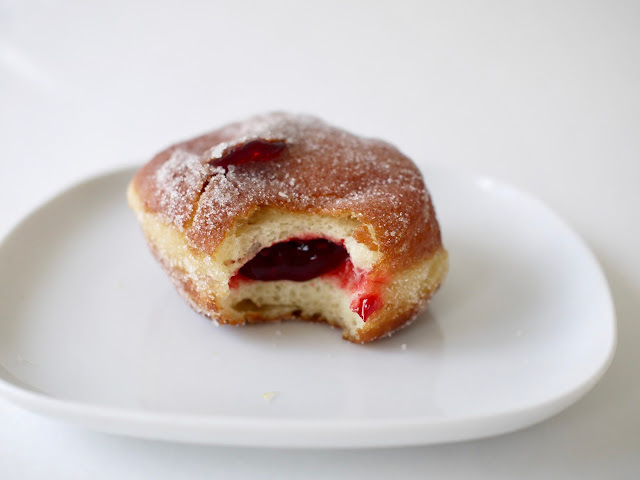 I ended up with a strawberry filled paczki and I scarfed it up immediately. It was fluffy and deliciously sweet. Paczki to me don't taste any different from a regular filled doughnut but I always thought that a paczki meant it was filled doughnut, like a bismarck...but apparently this KC bakery thought otherwise...I'm totally confused. But confusion aside, I may return to Irina's Gourmet Bakery next year for my paczki fix, but I'll make sure to call ahead to order them.